Ah, the joys of a hearty home cooked meal. 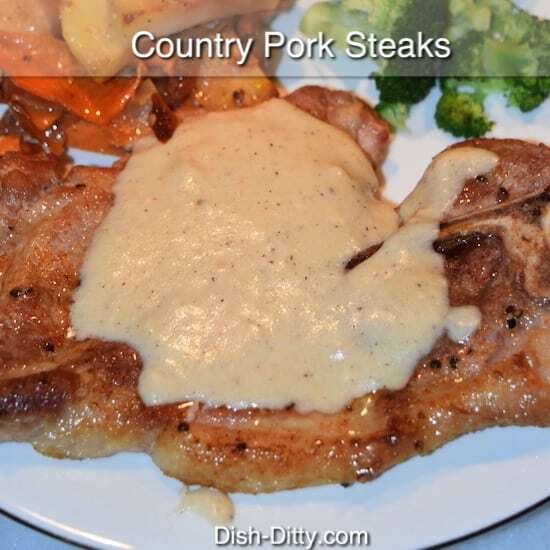 And nothing speaks home cookin’ like this Country Pork Steaks Recipe. 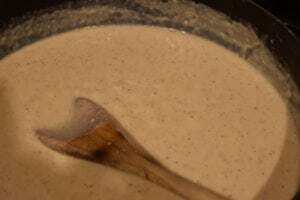 With a classic country gravy, this dish is sure to please. For those who weren’t given a to-go meal from me with this dish, just know that apparently it was good enough for me to get asked to post it. 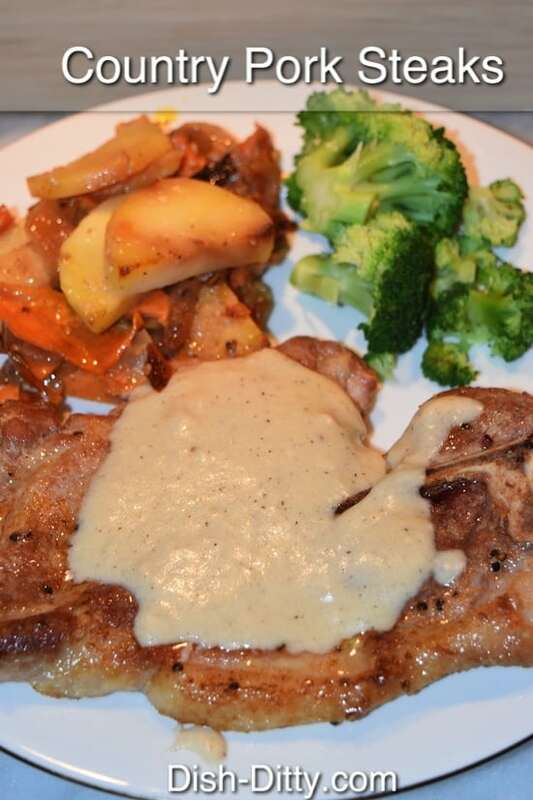 It really is easy and is a great weeknight meal. I got the idea from a Tasty Video. 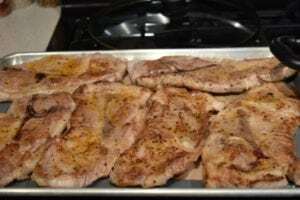 Sprinkle pork steaks with Santa Maria Seasoning. Heat a large pan with light olive oil or other light cooking oil. Brown steaks in batches on both sides. 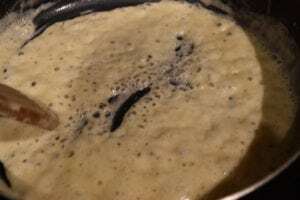 Remove from the pan when brown and place flat on a cookie sheet. Convection roast at 325 degrees for 20 minutes. 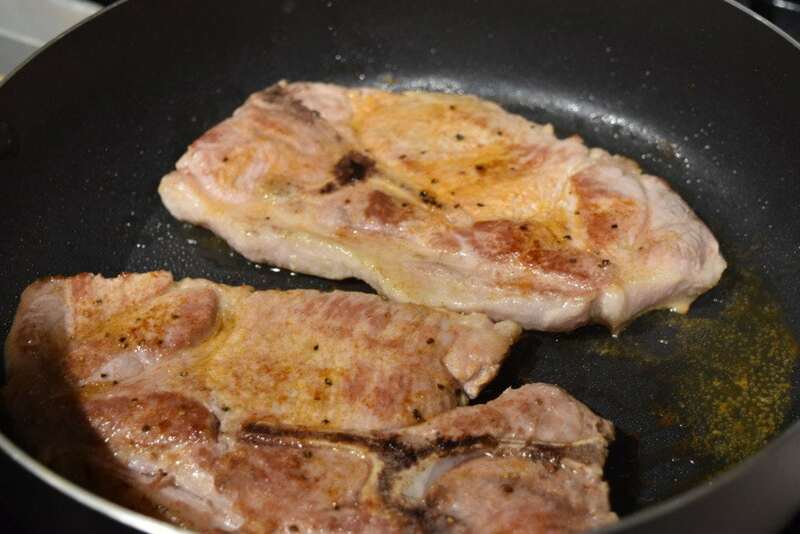 While the pork is cooking, make the sauce using the same pan. Add 3 Tablespoons of butter and 1/4 cup of flour to the pan (do not clean the pan, use with all the drippings). Cook, stirring constantly, for 2 minutes. 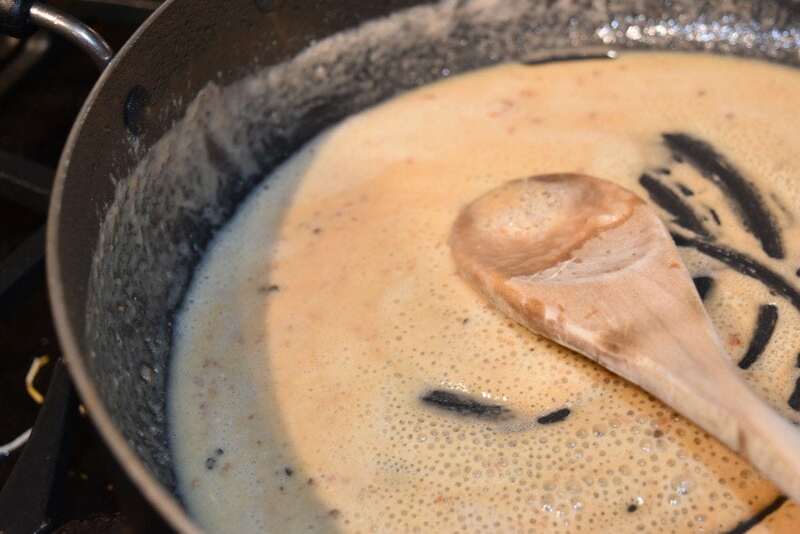 Gradually add the 3 cups of milk, stirring constantly and whisking to make a smooth gravy. Add the black pepper and salt, and cook for 2 minutes. It should be nice and bubbly for at least one minute. Turn off the heat and let set while you wait for the pork to cook. When the pork steaks are done, remove the cookie sheet from the oven, place the pork steaks on a serving platter and drain the pan drippings from the pork into the sauce. Stir and cook for another 30 seconds, stirring to make a nice smooth gravy. 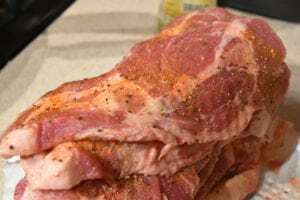 Serve the gravy with the pork. Also goes great on mashed potatoes and biscuits. 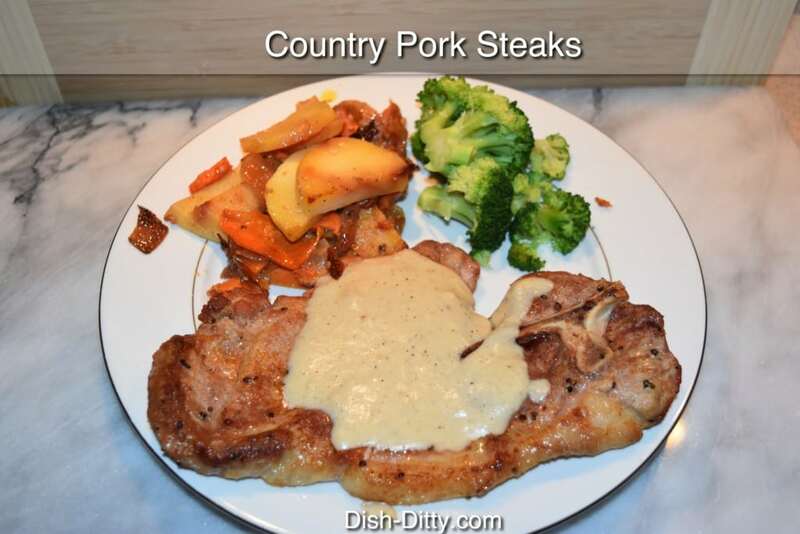 No Replies to "Country Pork Steaks Recipe"